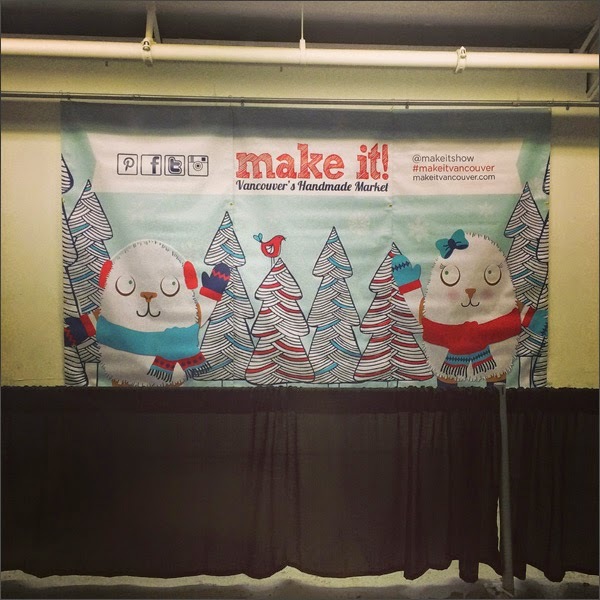 This Saturday I helped my crafty peeps The Hive Printing in their booth at Make It Vancouver at the PNE Forum. I spent the day learning about Square (such a kewl set up for processing payments! 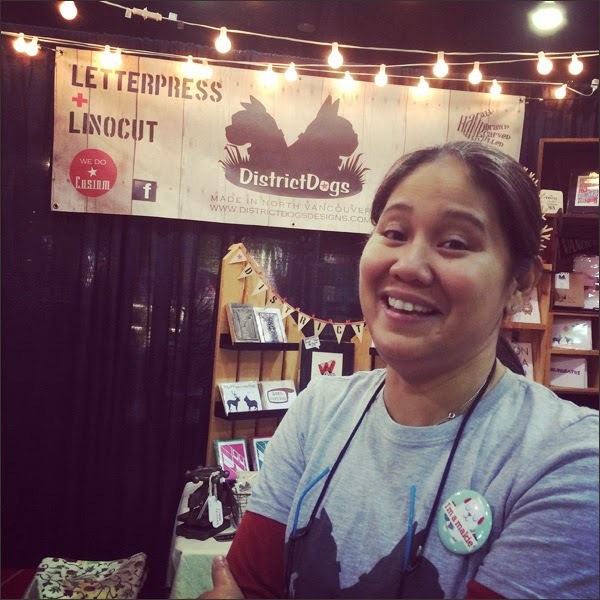 ), selling shirts and hanging with one of my FAV crafty peeps, Rebekah. 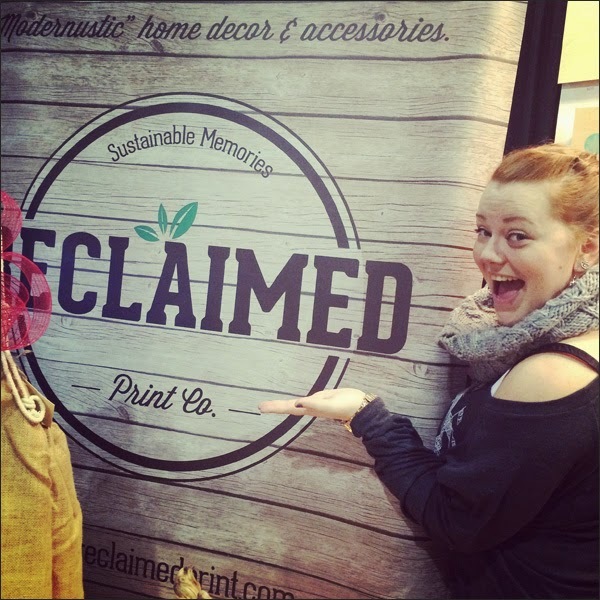 Megan from Reclaimed Print Co... 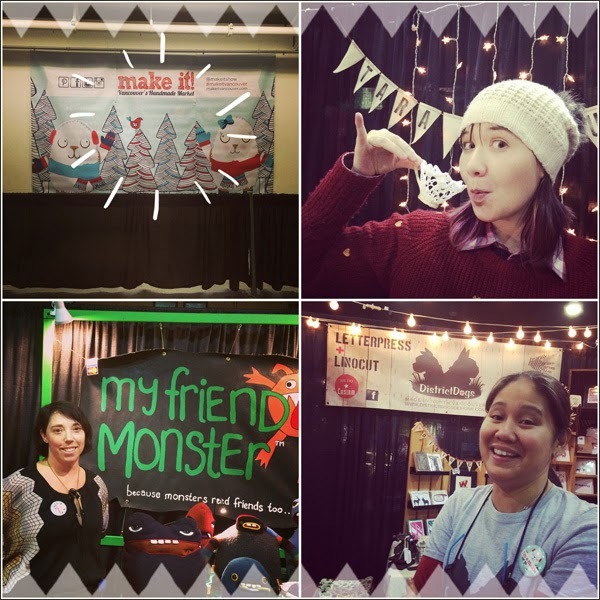 They were killing it at Make It Vancouver. Ran into Terri Wild from My Friend Monster. 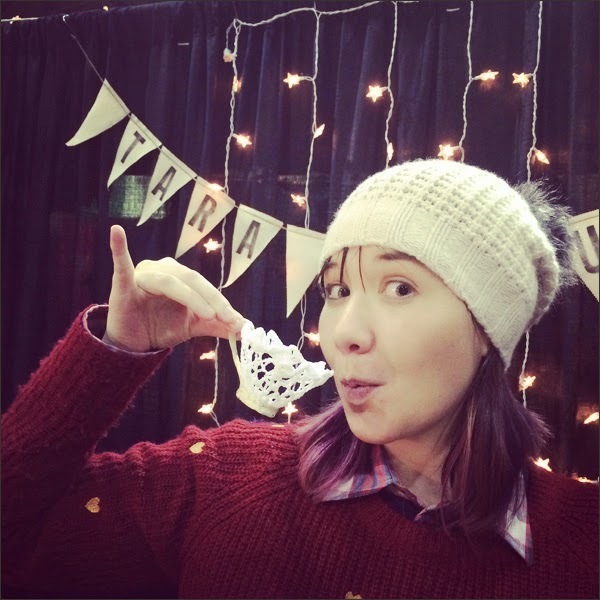 I met her a couple of years ago at another craft fair. 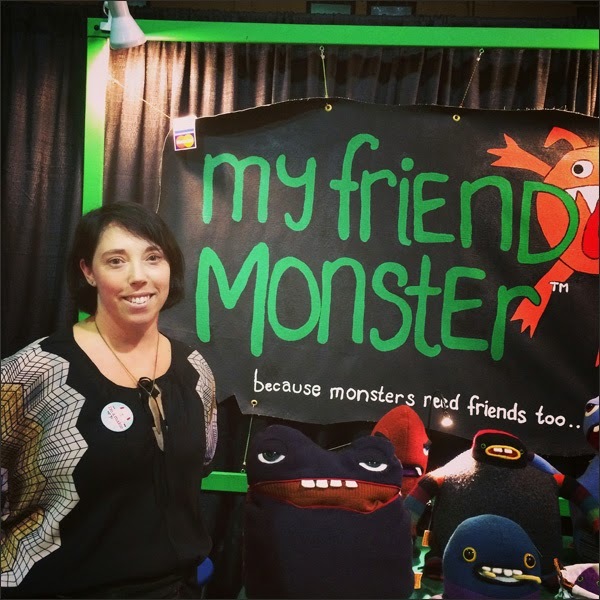 She's one talented sewer who makes super fun stuffies. And my fellow North Van-ers... District Dogs Designs. Here's Catherine. I haven't seen these guys in awhile. 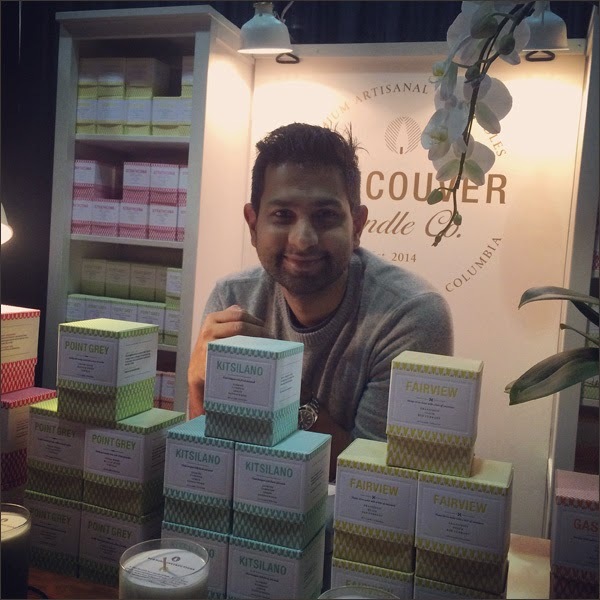 And new crafty peeps - Vancouver Candle Co.
Next up is Got Craft? this weekend. Getting my craft on these days and lovin' it!